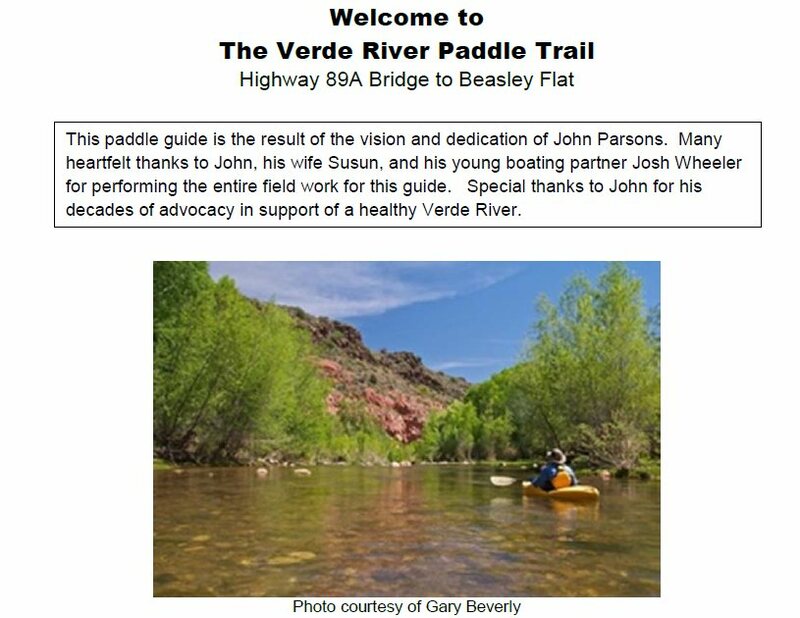 As you recall, 'twas two years ago that Joshua and we were canoeing various stretches of The Verde River doing field work for what would someday become a Verde River Paddle Guide from Bridgeport to Beasley Flat. 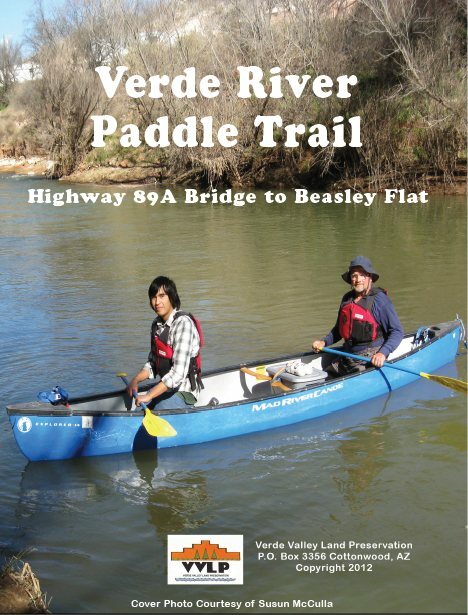 Well, someday came along here earlier this year and the paddle guide actually now exists, at least in PDF format. Supposedly someday it will also be printed and that would be nice, too. Anyway, in honor of April Fool's Day, we present to you the fruits of our labor two years ago. Here are photos of the cover and Page 2. The full guide is embedded below the photos. You can read it online or use the link to download it to your very own computer. Thanks to Chip Norton and Bob Rothrock for doing the heavy lifting to get this thing into reality. Joshua and I had the easy part! Thanks, Josh, for being such a great paddling partner! Here's the link to download the PDF file. It's over 4 megs.